Why do many people believe a run-of-the-mill Napa Cabernet is a bargain at $35, while a single-vineyard Victoria Shiraz is expensive at the same price? The answer is a psychological phenomena known as the anchoring effect. I'm reading the fascinating book "Thinking Fast and Slow" by Daniel Kahneman, which explains, among other things, how our intuition affects our judgment in ways we don't consciously realize. The anchoring effect is well-established through repeated studies around the world. You will protest that it does not affect you: so did many of the subjects to whom it was proven that it did affect them. What it means is that if you are shown a number, even a completely random one, and then asked to estimate another number, you will be strongly affected by the number you were shown. Before I get to an obvious wine-price corollary, here's a fascinating study of German judges that demonstrates the idea. "German judges with an average of more than 15 years experience on the bench were asked to read a description of a woman who had been caught shoplifting, and then asked to roll dice that were loaded so that every roll resulted in either 3 or 9," Kahneman writes. Immediately after the dice roll, the judges were asked whether they would sentence the woman to more or fewer months in prison than the number on the dice. "On average, those who had rolled a 9 said they would sentence her to 8 months; those who rolled a 3 said they would sentence her to 5 months." This is only one of many experiments that demonstrate the powerful yet unconscious effect of seemingly unrelated numbers on our valuation of worth. Now, to wine: the Exploratorium in San Francisco asked people how much they were willing to contribute to protect seabirds from oil spills. When no amount of money was mentioned, they said they were willing to contribute an average of $64. When asked if they would be willing to pay $5, then asked point blank what they would contribute, the average was $20. But when asked if they would be willing to pay $400, the average they said they would pay was $143. Look at the impact here. People didn't want to pay $400 to protect seabirds, but the anchoring effect of the dollar suggestion more than doubled what they did think was a reasonable contribution. Conversely, people given the suggestion that $5 might a reasonable contribution were generous in spirit, but only relatively -- they offered less than one-third of what an average visitor might offer with no anchoring effect. The parallel to wine is obvious. 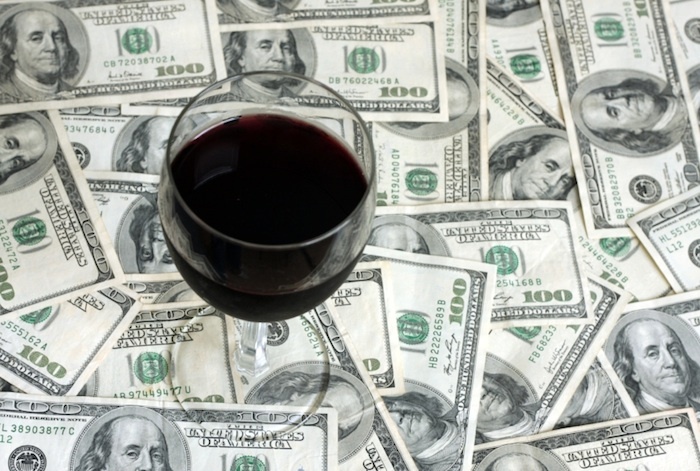 Everyone knows that many Napa wineries sell $150 wines. Moreover, we know that some of them sell $800 wines. Most of us laugh at the latter price and write comments on wine blogs about how absurd it is that some fools will pay so much money for a bottle of wine. We know it's silly! Yet unconsciously it raises our anchor for what Napa Cabernets should cost. This is why you see even well-established wine writers calling $50 Napa Cabs that aren't top of the line "a bargain for Napa" when we all know that there are thousands of great red wines in the world that cost half as much. Screaming Eagle, Harlan Estate, etc., are doing all their colleagues in Napa Valley a service by charging so much money; they are moving the anchor. In contrast, the best-known Aussie Shiraz is Yellow Tail, which has an average retail price of $7. Oenophiles mock (IMHO a little too boisterously) Yellow Tail, even to the point that they write lengthy screeds about its TV ads. We hate it! We know it's cheap! But the problem is, it is our anchor price. We know that there are many better Shirazes, and we consciously are willing to spend more -- consider the average Exploratorium visitors willing to give $20 when only $5 was suggested. But we will always be unconsciously moving up from that $7 anchor. You probably already realized these points at some level, yet they are still powerful, and now they have a name. Yellow Tail and Screaming Eagle may not have much else in common, but they are both anchors. This is also why supermarkets or wine stores will keep very expensive bottles of wine on their shelves, even if they almost never sell them. They're willing to waste space on $100 bottles of wine in order to make $25-$50 bottles of wine seem reasonably priced. 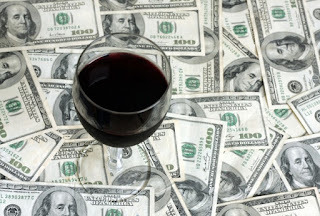 That way when Joe goes into the store to buy a nice Cab for dinner, he sees the $100 bottle and thinks "no way", but then sees the $15 and thinks "I don't want to be cheap", so he settles on the $30 bottle. Examples seem a little selective to make a point. Why is the Shiraz anchor point the low end Yellow Tail but for the Napa Cabernet the anchor is the high point? For wine drinkers reading these types of blogs, I would think something like Molly Dooker Shiraz might be the anchor. We all have anchor points based on our own experience and budgets--not to mention the supply/demand of alternatives. Is there a reason why Chardonnay from Napa is so much less expensive than Cabernet from Napa? Is there a reason why Boundary Breaks Riesling is less expensive than many mediocre Sauvignon Blancs from New Zealand? I am thinking "anchor points" is a small part of the game. True story...I was getting gas prior to dinner at an outdoor concert where I was bringing the wine. I opened the trunk to pull something out and dropped the wine on the ground, breaking both bottles. We were already late so I went into said gas station and they had a display rack full of yellow tail. I bought the shiraz and the chardonnay (along with a 6 pack of Ballast Point grapefruit sculpin just in case). The wine was really not all that bad' esp considering I paid more for the 6 pack of beer than both wine bottles. the 6 of us finished both bottles. I also recent bought bottle of grange....glad that's not the anchor for Aussie Shiraz!